This six-day Summer Institute in Digital Literacy focuses on how literacy is changing as a result of emerging media and technologies. As the premiere professional development program in digital literacy in the United States, we consider the implications of the cultural and technological shift that digital learning has brought to the practice of teaching and learning. Regardless of experience level or prior background with technology, participants learn how to conduct project-based inquiry using a variety of digital texts, tools and technologies, which help create challenging and engaging learning opportunities. This 4-course Graduate Certificate Program in Digital Literacy was launched at the University of Rhode Island in 2014. This program provides advanced training in digital literacy in an intense 12-month program. We are proud of the inaugural class of 12 amazing educators who are participating in the program, which has received formal accreditation by the New England Association of Schools and Colleges. Educators and librarians can develop leadership in digital literacy by participating in the Graduate Certificate Program in Digital Literacy for a total program cost of only $6,100. At this new educational website, which will launch on Feb 24, 2015, learners can explore the wide variety of contemporary propaganda now found in news, advertising, entertainment, government and politics, public relations, advocacy, and education. 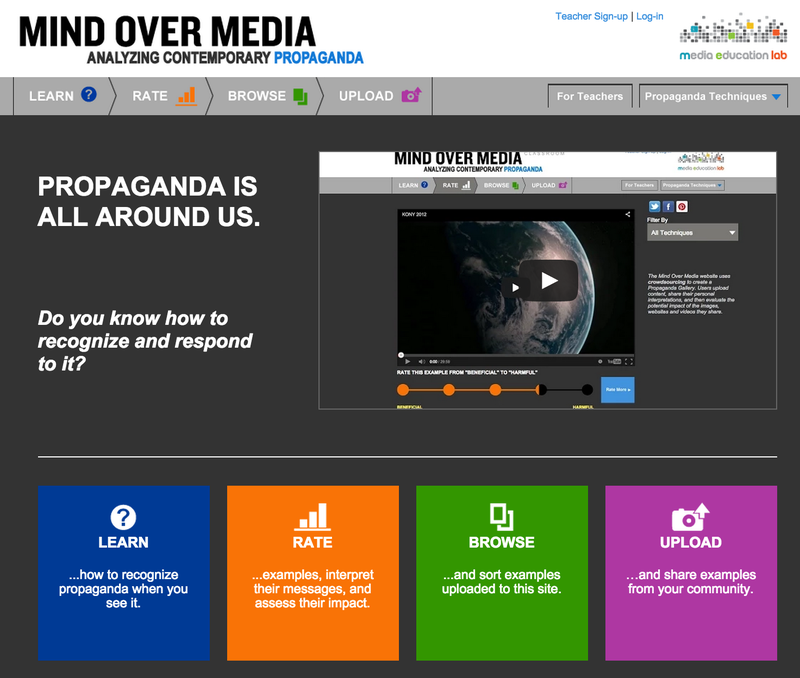 Users can rate, comment on and interpret and evaluate propaganda and upload their own examples. Lesson plans for high school English and Social Studies are aligned with Common Core and national standards. Digital Scaffolds To Support Inquiry, Collaboration, and Research-Based Argumentative Writing. 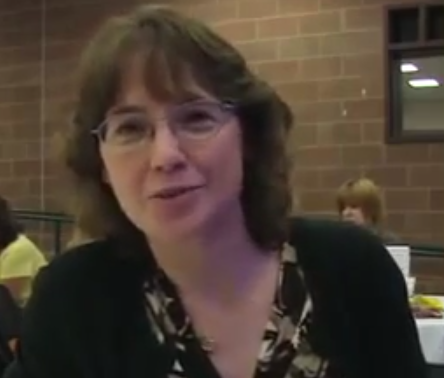 This research, partially funded by the International Reading Association (IRA) and Educational Testing Services (ETS), seeks to develop and research digital learning spaces and assessment tools that engage elementary, middle, and high school students in information gathering, critical evaluation, synthesis, and argumentation. Efforts are also underway to provide professional development that builds teachers’ understanding of these concepts and how to use both formative and summative assessments as a regular part of their reading and writing instruction. Developed by Professor Julie Coiro, this research is designed to help teachers bridge their understanding of foundational literacies with newer digital inquiry practices, while addressing the Common Core State Standards. Global Perspectives on Digital & Media Literacy and Civic Engagement. With my colleagues Haixia He and Michael RobbGrieco, we have recently published research on how teachers address the needs of new immigrants in urban high schools by using advertising analysis activities to promote vocabulary, written and oral language development in the ESL classroom. Working with my colleague Katie Donnelly and URI graduate students, we recently completed a three-year evaluation of the PBS News Hour funded initiative, “Student Reporting Labs,” a national program that enables high school students to develop literacy and civic engagement competencies through broadcast news video production activities. 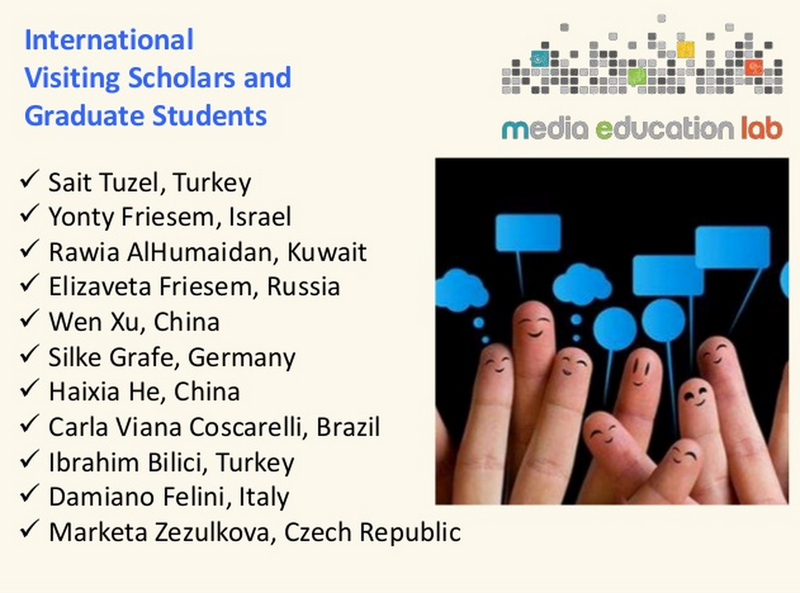 Efforts are underway to examine the impact of the use of social networking tools that enable peer-to-peer digital interaction in social studies classes, in a program that is designed to promote global understanding among middle-school students in the U.S. and students in Turkey, thanks to leadership by my colleague Dr. Sait Tuzel, a Visiting Scholar at the Media Education Lab. Click here to receive our monthly newsletter and stay tuned for how you can participate in the large and lovin’ Media Education Lab community. We welcome you to join us for Spring 2015 events, programs and activities.